What a find!! 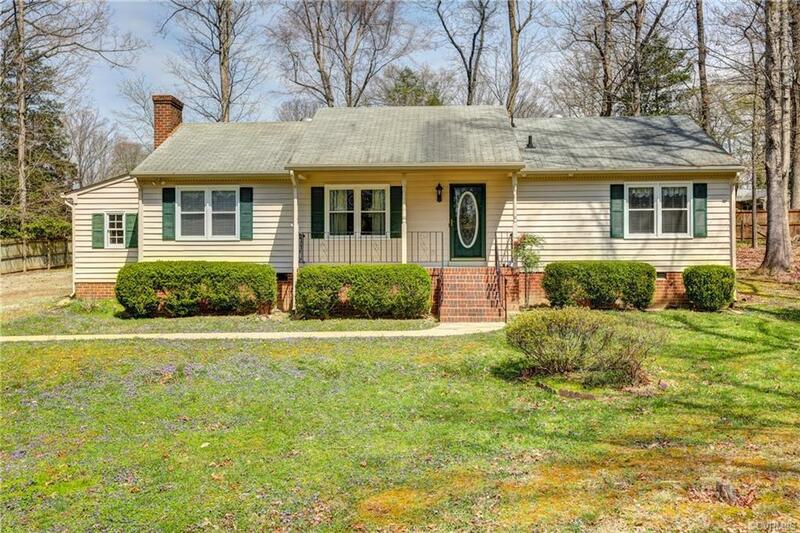 Immaculate, well maintained, low maintenance, one level ranch style home. Spacious kitchen with beautiful wood cabinets throughout. Ample counter space. Cedar siding with newer vinyl replacement windows and screens. Ready for you.... just move right in! As you enter through the front door and stand in the foyer, you can't help but notice the formal dining room and hardwood floors throughout the main parts of the home. Enjoy the large but cozy family room with brick fireplace and gas logs, 3 bedrooms plus 2 full baths with showers. All kitchen appliances convey including the refrigerator. The laundry room/mud room is off the kitchen with purchase and check out the 192 Sq ft enclosed porch ( Not included in the sq ft age ) overlooking the back yard with the large partially fenced in back yard. Master bedroom with private shower. Priced to sell! Although no known defects: shed, washer & dryer, fireplace, chimney and flue sold as is. Nice size tool shed attached to the house; exterior was just recently power washed. Also included: gutter guards on all of the gutters, country front porch, and security system.This charming and well maintained home will sell fast! Directions: From Hull Street/360, Travel North On Courthouse Rd. For 1.4 Miles, Turn Right On To Providence Rd. For 3 Miles, Turn Left On Scottingham Rd.